Delivered straight to my home last night at around 8.20pm. 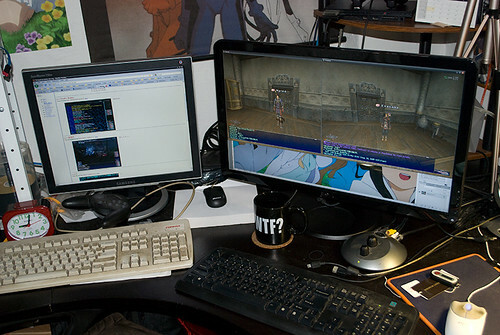 Thinking back to the days where I had to use a 15″ LCD monitor at work makes me shiver. Watching 1080p animes are sooooo awesome now. Lots of detail flooding my field of vision. Working on photoshop is also a lot better now with more viewing space. Same goes for coding. Next up on my shopping list, a White NDS Lite and a new computer!